Situated in Sultan Bazaar (a market in Hyderabad), this street is one of the foremost places for mouth-watering street food in the city. 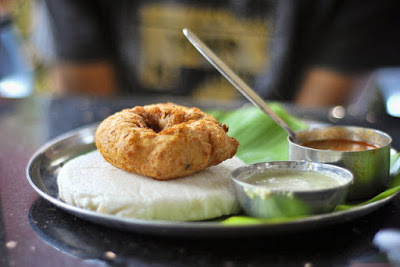 One should not miss the breakfast here, as the Idlis (a type of flavoursome cake, a part of breakfast in some parts of India), Dosas (a kind of pancake), Pongal (a rice preparation), Upma (similar to porridge), and Vadas (snacks), are delicious to the core. The vendors start preparing and selling the food from very early in the morning. Turn into an early bird and visit this place in the early hours of the morning to have a yummy as well as healthy breakfast. A very popular eatery dishing out lip-smacking snacks and main courses. It is located in Indiranagar, Gachibowli. 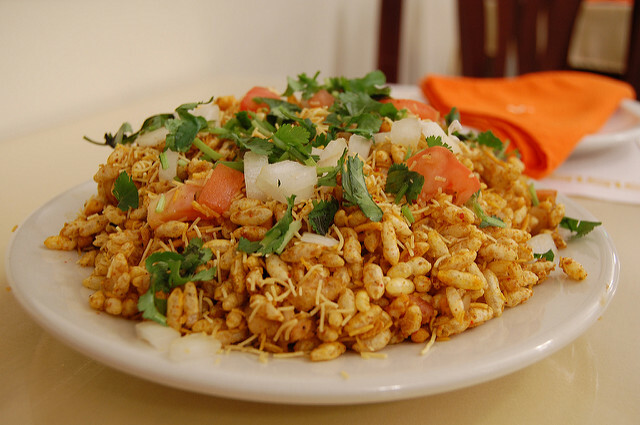 The place offers North-Indian street food and a few main courses. Chaats, Bhel Puri (a snack), Pav Bhaji (fast food), and various others savoury snacks will make you visit this place again and again. It also comprises a Panipuri (a street snack) stall. It is a popular street food haunt and remains packed on weekends. Do not forget to taste their unforgettable Lassi (a drink that is yogurt-based), after you have had your fill of the other palatable items. A perfect place to dig into the luscious and scrumptious dishes that make street food in India so sought-after and memorable. The samosas (fried snack), pav bhajis, kachoris (spicy snack), mirchi bhajis (snack made up of potato and chilli filling), dahi puri (snack), and many more piquant appetizers make this eatery a worthwhile experience. 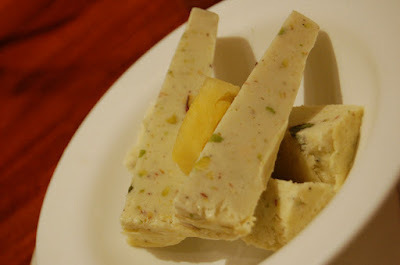 The kulfis (frozen dessert) served here act as the perfect dessert after the tangy snacks. The place usually remains crowded. This eating joint is at Koti, Hyderabad, and deserves to be in every street food lover’s bucket list. 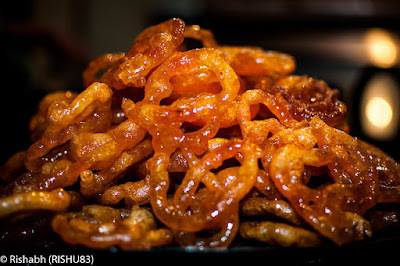 This shop is to be found near the iconic Char Minar and serves incredibly tasty jalebis (a kind of sweet) and imartis (a sweet). One can also find good Kachoris and samosas at this place. The next time you visit Char Minar, take some time out and taste their syrupy and crispy jalebis and imartis to appease your sweet tooth. 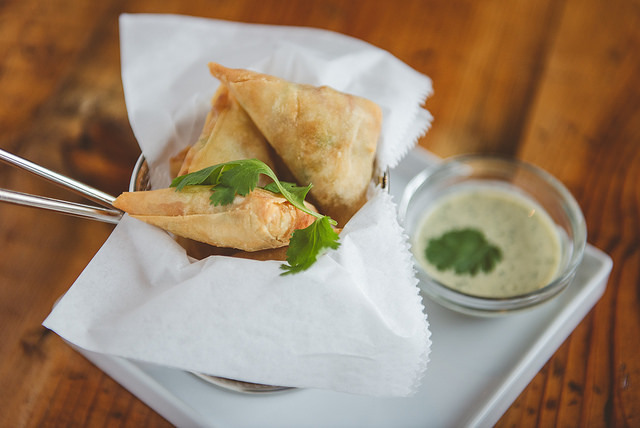 If you want to taste some appetising nibbles near Madhapur, then this is the ideal spot. The pani puris and bhel puri of this place are renowned. There is enough space for parking here, so one can order and enjoy the snacks inside the car. A good place to grab a bite of the spicy and sharp-tasting fast food items that leave behind a strong taste in the mouth. This Himayat Nagar eatery is flocked by people for its noodles, samosas, fried rice and several other delectable preparations. 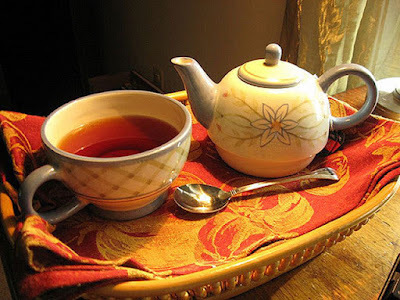 This place remains open till midnight, and those who burn the midnight oil can sip on a cup of hot tea here. How can a list of places serving delectable street food in Hyderabad ever be complete without a mention of this place offering momos? This street food centre in Habsiguda offer momos that are soft and melts in your mouth. 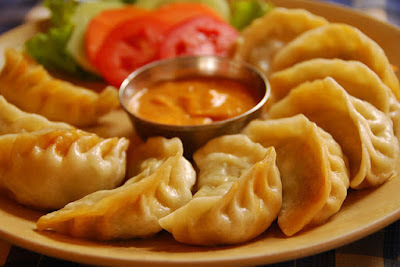 The spiced chutney (sauce) provided with the momos adds to the overall good flavour. When in a mood for momos while in the city of Hyderabad, you now know where to make a trip to. It is a unique space for cultural and literary events and is located in Banjara Hills. It also houses an Irani café. If you are in the mood for tea, Hyderabad’s famous Osmania biscuits, samosas, and other snack items, then this place is tailor-made for you. You can enjoy the food while hanging-out with your friends at this café, or just have some alone time to yourself with a book and good food. A quintessential local street food stall, this one is very well-known to almost everyone staying in Hyderabad. The late-night food stall offers its customers an assortment of different kinds of Dosas, Fried Idlis, and many other types of Idlis and Upmas. 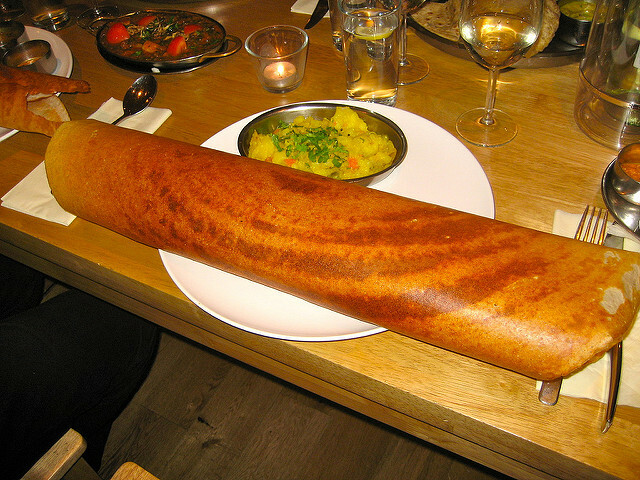 You have to reach this place in the wee hours of the morning to taste some of its crispy, appetizing and extraordinary dosas. 10. Hameedi Confectioner & Co. The city offers excellent local shops and stalls for the ones with the sweet tooth as well. Hameedi Confectioner & Co. is definitely one of them. It is a small shop in Mozamjahi Market, but serves one of the best sweet dishes and desserts to be found in Hyderabad. Right from their Halwas (sweet and dense confection) to other traditional Nizami sweets, the taste is inimitable and would compel you to ask for another helping. 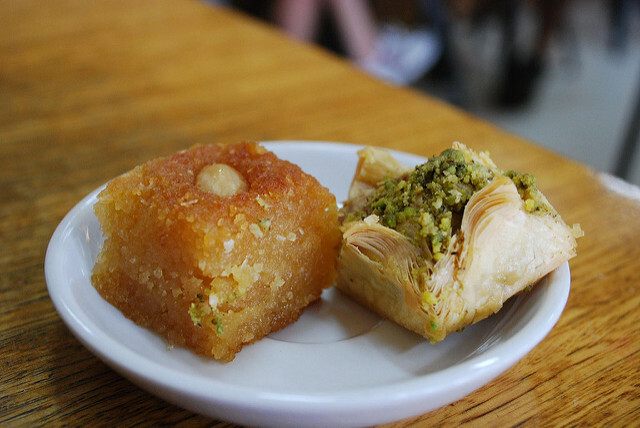 This list had everything in it, starting from breakfast places to a local stall with one of the finest sweetmeats and desserts. The streets and by-lanes of Hyderabad are filled with such culinary delights and surprises. Do not forget to drop by these places to have an unrivalled food experience. Rohit is a food connoisseur, who enjoys street food as much as fine dining. He relishes the snacks and sweets in local food stalls with the crowd. It is his way of mingling with the local people and understanding a place better. 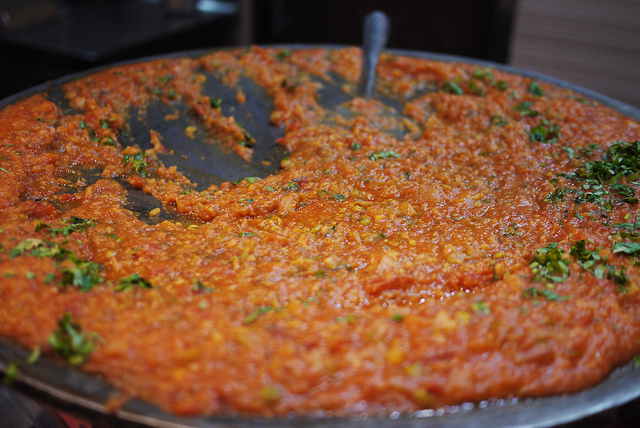 Hyderabad is one of his beloved cities for its wide-ranging street food delights. You can read more stories at www.transindiatravels.com.